Every once in awhile I have an idea and it goes in a completely different direction as I’m creating it. That is exactly what happened with this project. But I’m so happy it did, because I love it even more now! The cool thing about creating is you never know how it will turn out. I’ve had enough epic fails to truly know that! I picked up this set of 3 embroidery hoops at a thrift store for $1. I planned to leave them blue, but then wasn’t feeling the shades of green against it. So I decided to use my favorite galvanized metal technique that I show you in this post. 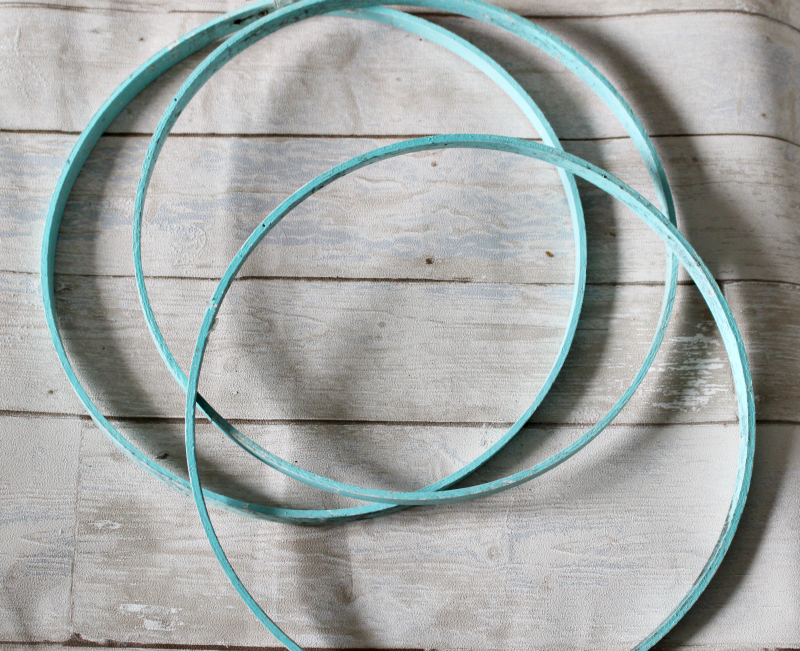 I arranged the hoops into the shape I liked and added a little hot glue where it met. 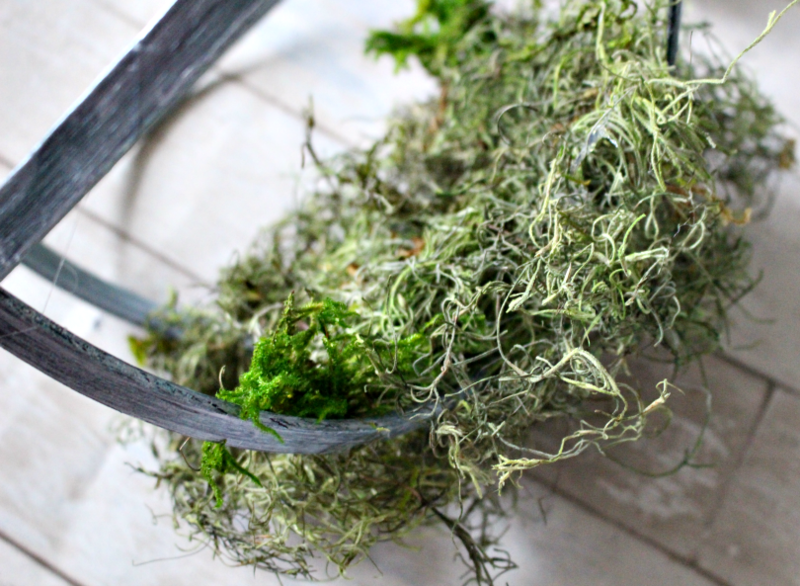 Next, I started adding moss to the bottom of the hoop. I wanted it to hang down, so left some loose pieces. Continue to fill in the base and add the succulents to the embroidery hoop until you are happy with the placement. You could totally stop here and make it a cool tabletop centerpiece. But I am planning my daughter’s outdoor Graduation Party, so I am making several of these to hang across the patio with solar lights. I will update pics when they are hung up at night. For now I hung it in my craft room and it looks pretty there too! I like to use fishing wire to hang things because you don’t see the wire. The candle was attached into a small foam square and a bit of hot glue keeps it secure.you could also add pillar candles if you like, but definitely the battery operated. I really hope you like this embroidery hoop succulent planter. They are so versatile and the best thing is, no watering needed! These would be fun suspended from trees or on a covered porch. You can also add pops of color if you like. 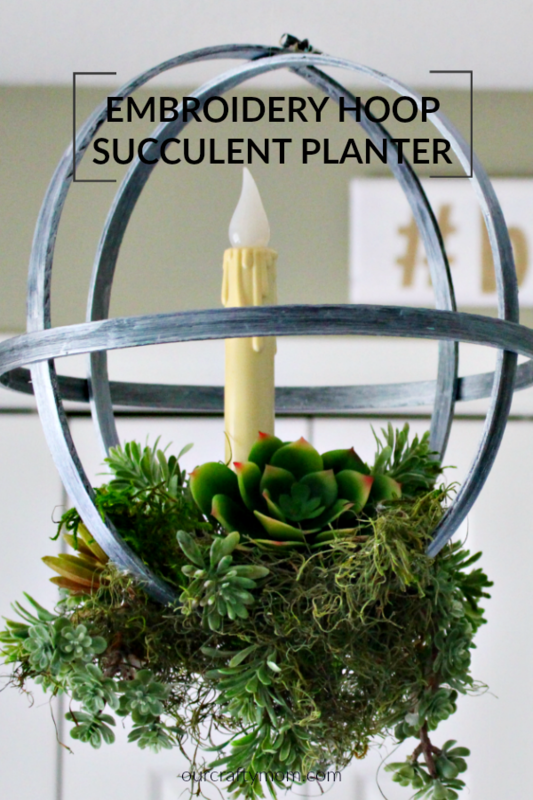 Check out another project I made with succulents Galvanized Bucket Succulent Here. 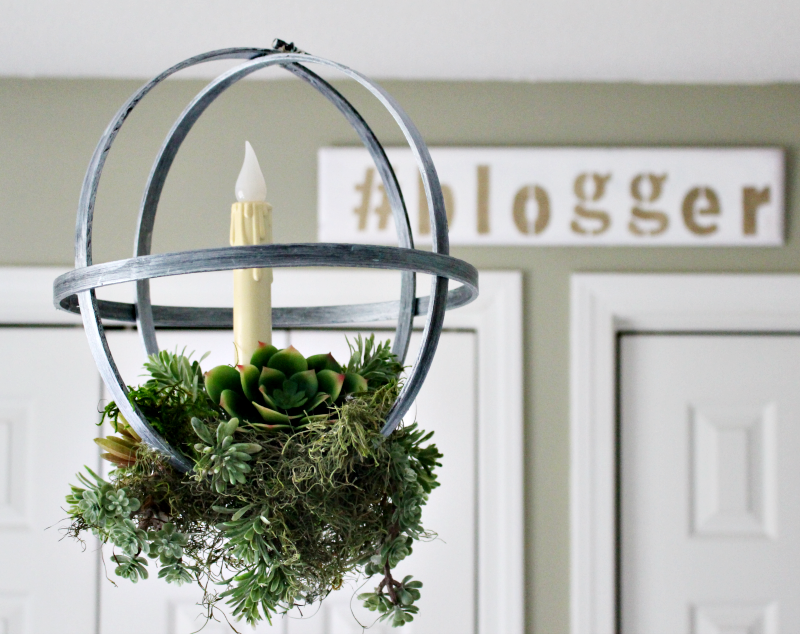 You will definitely want to see what the other bloggers created. I love seeing their Upcycles! Sign up for my email and you will receive an exclusive set of Farmhouse Mason Jar Printables! This is so cute! I love it, the color with the black and silver is perfect. Embroidery hoops are fun to craft with. What a find! Thanks Jenny. They are definitely fun to craft with! OMG, I love this idea! It’s such a unique way to display succulents. Pinned! 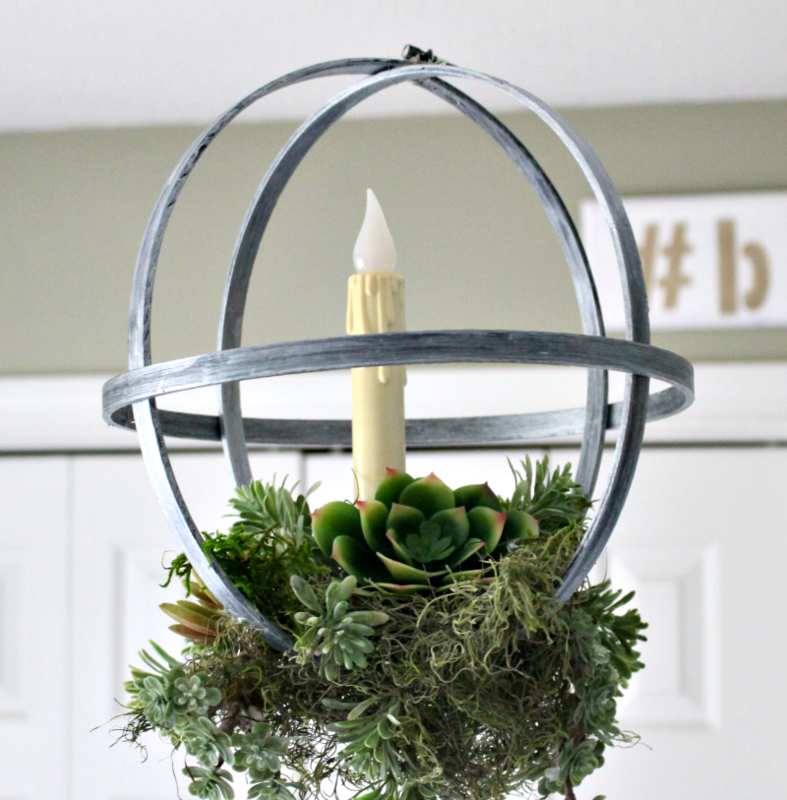 Chelc | Inside the Fox Den recently posted…DIY Terrarium Lamp | Thrift Store Upcycle Challenge! Thanks so much Chelc. I never pass up an embroidery hoop, lol. This is just fantastic Michelle! Your daughter’s Graduation Party decor will be gorgeous, I can’t wait to see them all up and lit, it’s going to be magical! Thanks Kaycee! I love outdoor parties and will definitely share photos. She loves Chipotle so they are catering & we are having a Mexican Fiesta Themed Party. Hopefully the weather will cooperate! This came out great. It will be so pretty at night in your garden. I can’t wait to see the pictures. This is ssso cute what a great way to upcycle some old hoops. Michelle, I love this! And it sounds so easy to do too. It’s absolutely gorgeous. 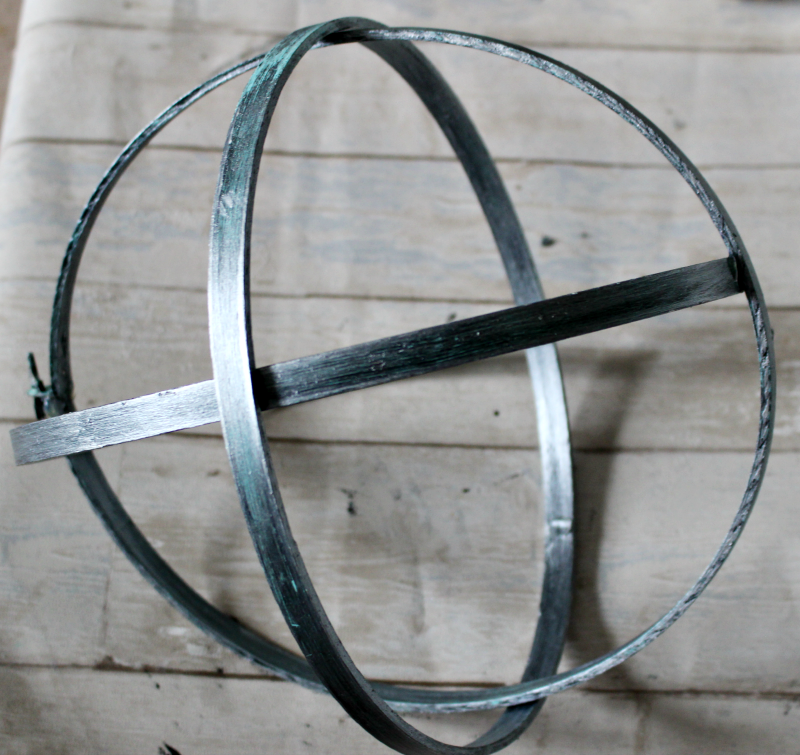 Love how you turned plain wood into a looking metal orb! The addiction of the succulents is a great idea, it all looks so cool together! 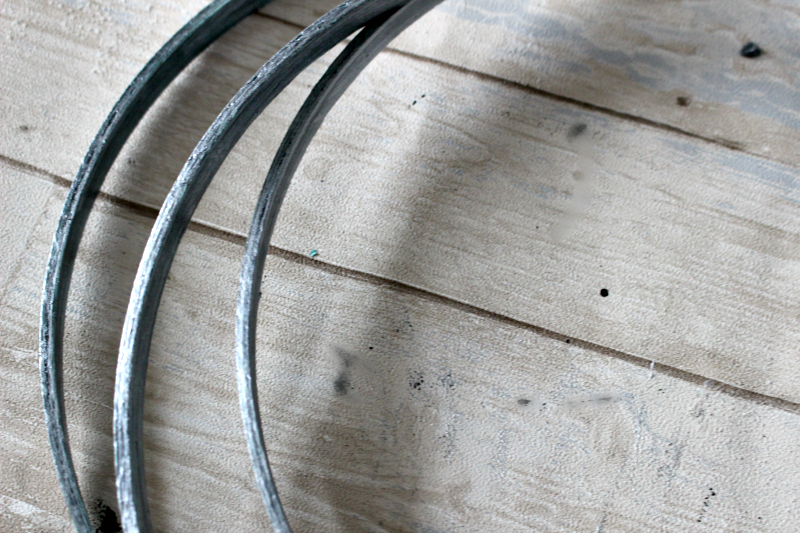 I’m so impressed with this galvanized look! I definitely need to try it sometime in the future. Gorgeous piece, Michelle! Such a cute idea! I will be pinning it and trying it soon! I always look at embroidery hoops in thrift stores and wonder what I can do with them. Now I know! Love how the silver changes the entire look of the hoops. There are so many great things to do with embroidery hoops. I have several other projects with them if you enter embroidery hoops in the search bar. Wow, I love it! I am pretty crafty and can spot things and I would never have thought those were embroidery hoops. I was trying to figure out what those would have been prior. Great idea! This is very cute and what a great way to upcycle some old hoops. I will be trying it soon! These succulents are so pretty displayed like that. I need to buy some for my house. This is lovely! How long do the plants last in the planter? This would be a good gift idea for a girlfriend of mine! I absolutely love this what an awesome idea of a way to show off succulents! It is so pretty and a great DIY. 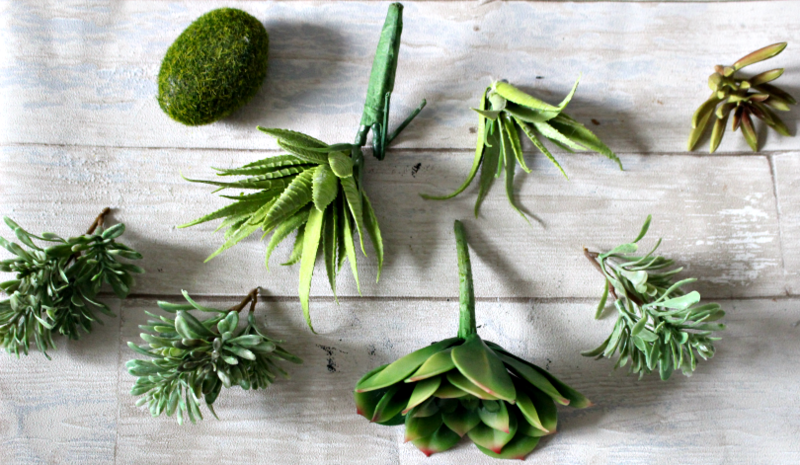 What a cute way to hang your succulents! All of mine are in terrariums or pots at the moment. Those are beautiful DIY decor ideas for Spring and Summer! I’ve always liked succulents and I think this is a pretty way to showcase them! I really like how your succulent DIY turned out. Those are the same type I used to make a wreath with. I might have to try something like your idea. Theresa recently posted…Inspiration Spotlight Linkup Party #295 Crafts, DIY, Decor. Recipes…. Wow this is so pretty! This would be a great addition in my garden. That looks so beautiful and easy to do, I bet my daughter would love to do this with me. Oh that is too cute!! Totally saving it for a future project! Absolutely love this, Michelle! Have seen your post in several places… saw it this morning on Friday Friends Parade! Absolutely love this DIY. So clever, and I’m definitely going to try this out! This is so cool & creative! 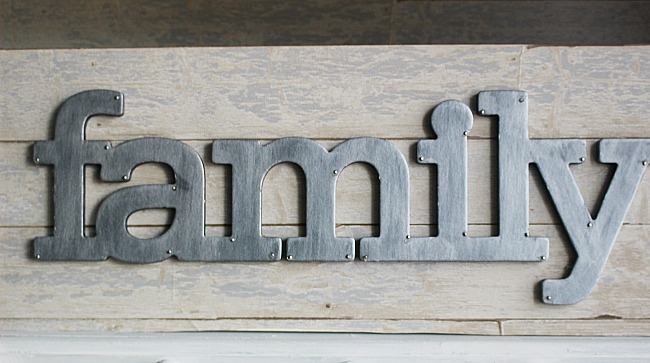 I’d love to hang something like this over an outdoor dining area! This is so creative and cool! It looks amazing. Succulents are the way to go in my experience. They need so little to live. I love all your DIY’s, but this one is my favourite so far! I love the fact that this is multi-dimensional. I’d totally hang this in my house. 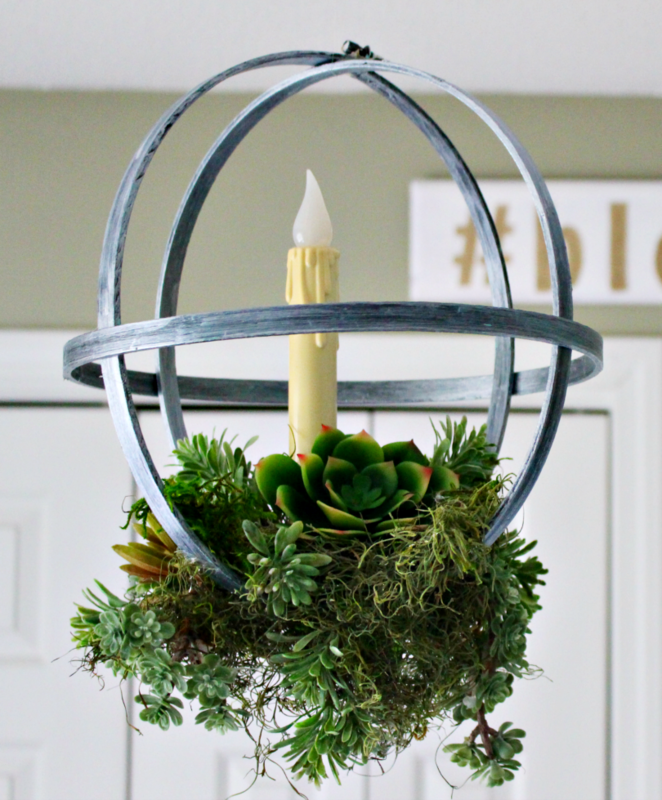 I am featuring your planter at this weeks OVER THE MOON LINK PARTY which goes live tonight at 5pm central. Please stop by to see and link up again! Oh I’m so excited!! Thank you so much!! I have a friend who adores succulents. I’m going to send this to her, she’ll love this idea! Very creative! And it looked so natural! 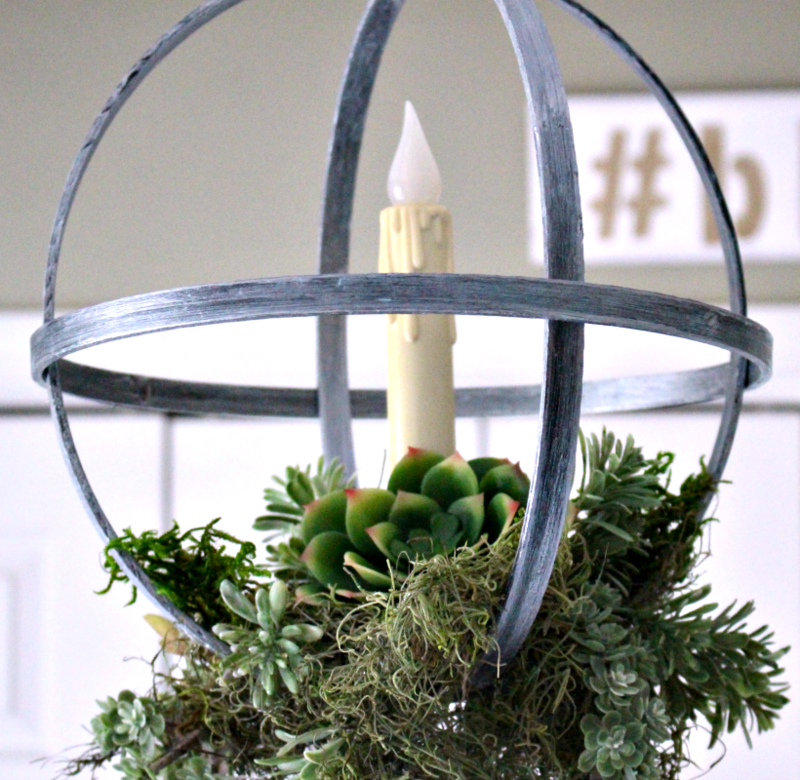 I love this succulent decor diy. 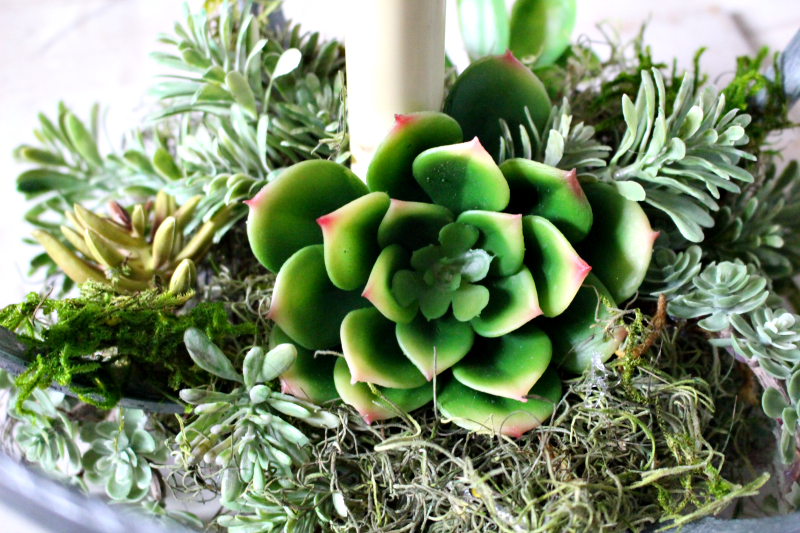 This is a pretty way to bring greenery to your home! I just love this idea! I am featuring you today at TFT! 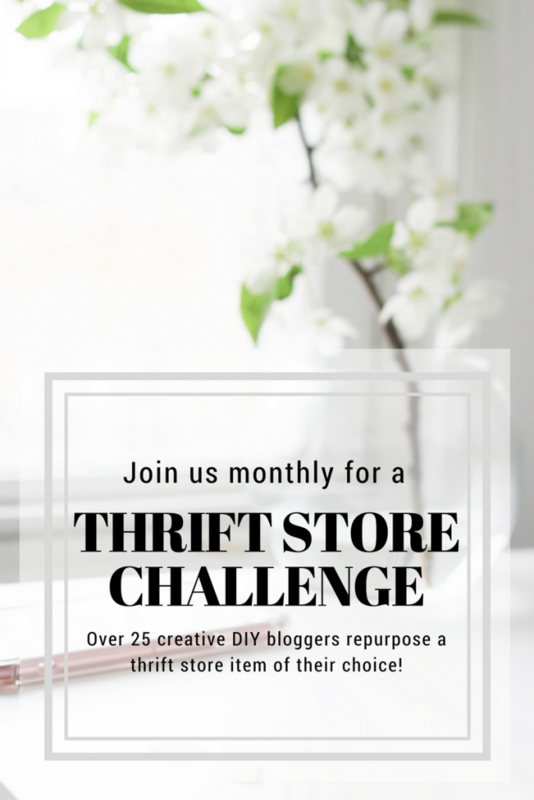 Also I love thrift store challenges too! If you ever have room in your group, I would love to join! This is so nice! I bought a bunch of faux succulents when I was visiting the States. I swear, I bring the funniest mementos from a trip. I am looking for inspiration on where and how to place them. Michelle this is so cute! And I was wondering how on earth it was hanging there in mid air, lol!! 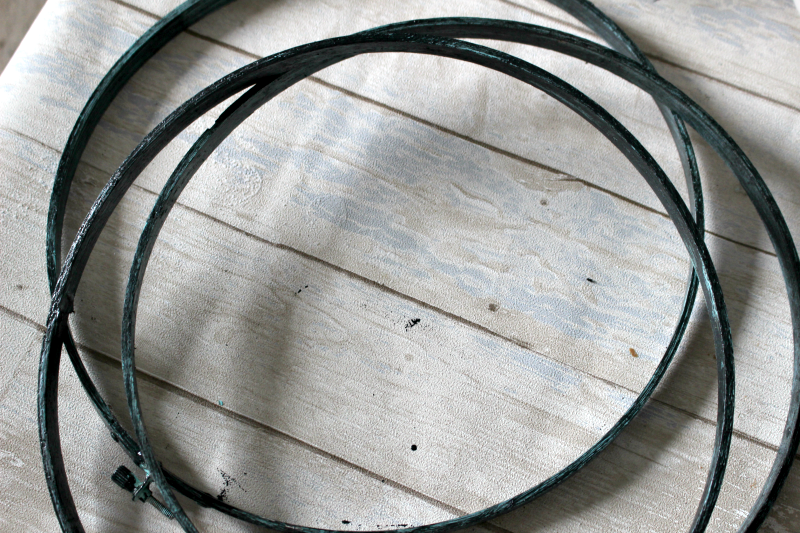 Fishing wire….great tip. Thank you for sharing with us at Create and Celebrate! !